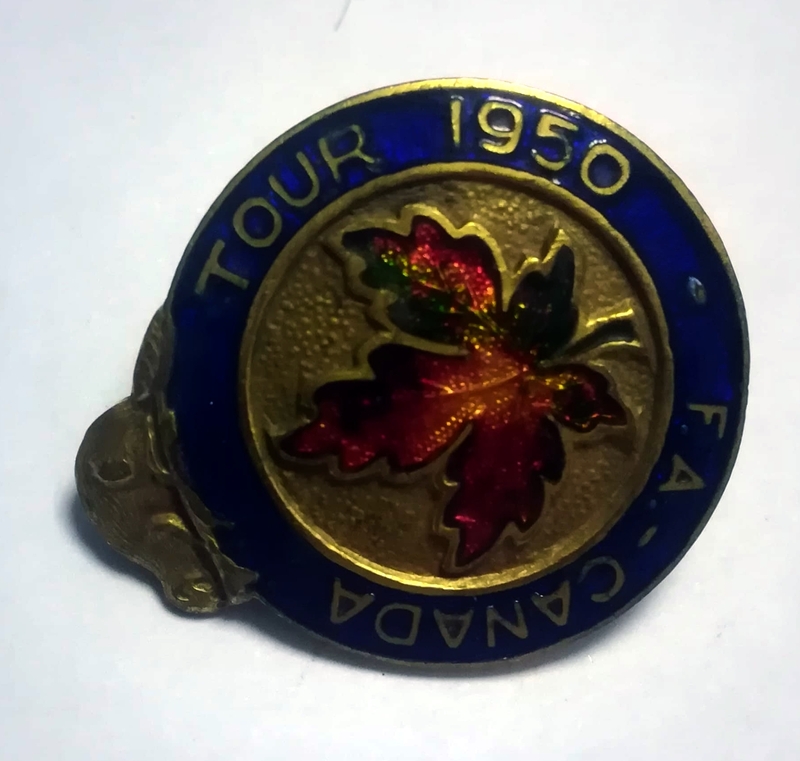 This is an original badge from the Football Association’s 1950 Tour of Canada. The FA, in their infinite wisdom, organised the goodwill tour to coincide with the World Cup, and England star Sir Stanley Matthews was sent to Canada as an ambassador. Matthews was then forced to take a 28-hour flight to Brazil to arrive in time for the infamous match against the USA, only to find out he hadn’t even been selected. England selector Arthur Drewry had a policy of not changing a winning team, and against the wishes of manager Walter Winterbottom, Matthews was forced to watch England lose 1 – 0 from the sidelines. England played eleven games on the tour, winning ten and drawing one. It included a 1 – 19 win over Saskatoon, who could only field nine players, and as such borrowed Nat Lofthouse and Derby’s Tim Ward. They also played a US side, winning 1 – 0 in a reversal of the humiliating World Cup loss.